OMG these are SO good! 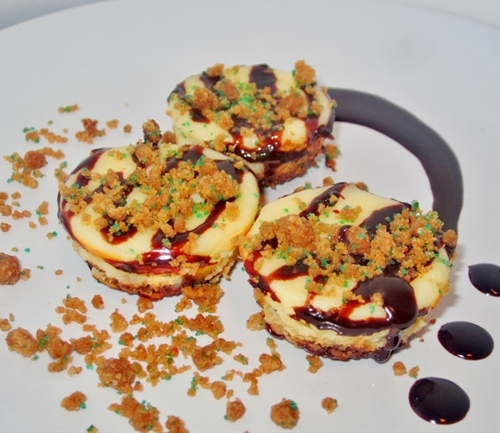 Mini cheesecakes with a gingerbread crust drizzled with a coffee/chocolate ganache. Yield: makes 24 mini cheesecake bites.